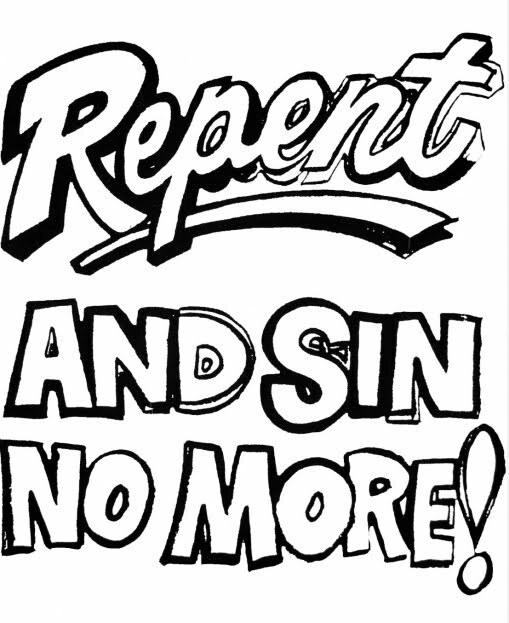 One of the most commonly misused theological words of our culture is the word repent. It is misused by both non-believers and believers, clergy and laity, educated and uneducated, Protestant and Catholic. catholic. It is, sadly, almost universally misused. In fact, it is so misused that the dictionaries have come to define it by its usage, not its meaning. · Macmillan: the act of showing that you feel ashamed and sorry because you recognize that you have done something wrong, especially against the rules of your religion. · American Heritage: Remorse or contrition for past conduct or sin. · Merriam-Webster: the action or process of repenting especially for misdeeds or moral shortcomings. These bad definitions, like the "Big Lie," are repeated so many times that they have become "the truth." Based on these bad definitions, we then move toward bad interpretation of Scripture, all leading to bad doctrine, bad preaching, and sorrowful results. American preachers and diligent witnesses have so proclaimed repent as "stop your bad behavior," that we have created throngs of believers who have stopped their bad behavior over, and over, and over again. If we repented repent of this use of repentance and begin to use repentance in a Biblical manner, the eradication of bad behavior would be a natural and wonderful side-effect. Romans 2:4 gives a wonderful example and explanation of what biblical repentance is: "Or do you think lightly of the riches of His kindness and tolerance and patience, not knowing that the kindness of God leads you to repentance?" (Romans 2:4, NASB95). To get a grip on repentance, let's consider one Greek word and two Greek pre-fixes, all used in this verse. First, the word noeo (no-eh-o) is the verb meaning, "to think." From this word comes another Greek word familiar to many, gnosis (no-sis), from which the Gnostic heresy was named. Gnosis is the word for knowledge (the English word is closely related to the Greek, even to the extent of their silent first letters). For our purposes, noeo is what you need to know, and it means "to think." Now, let's learn two prefixes. First, the Greek letter a, is the "negation letter." That is, any Greek word with the letter a added to the front negates the meaning of the word. So, if we have noeo (or its equivalent gnoeo) and add the a, then agnoeo means "no thinking" or "no knowledge." In fact, the English word "agnostic" is one who does not know. The second prefix is familiar to English readers, and that is meta, which means "to change." Whether it is metabolism of food to energy, or a cancer that has metastasized (changed locations), or a metamorphosis (change of form), meta always means a change or shift. Now back to our text and the Biblical meaning of repentance. Romans 2:4 speaks of those who are "not knowing," that is, they are agnoeo. They are "not knowing that the kindness of God leads them to repentance." 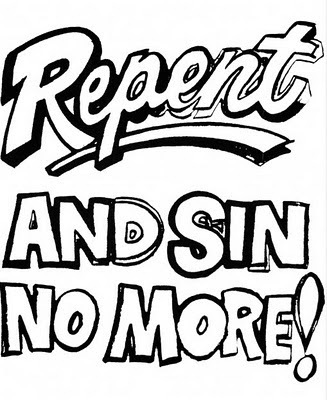 Repentance is (both here and throughout the New Testament), metanoeo, which is A CHANGE IN THINKING. Are you agnoeo or metanoeo? That is, are you "unknowing" or "changed in knowing?" When we begin to understand repentance in terms of its biblical meaning (a change of thinking), then we can begin to teach repentance in a biblical manner. Since faith in Jesus Christ is all aboutbelief, then the "action" necessary is not a change of behavior, but a change of thinking! I'm sure that your experience is like mine; when you change your thinking your behavior changes as well. If we start with our behavior, we have nothing more than a New Year's resolution. However, when our belief system or thinking process changes, a change of behavior becomes so much easier. I long for the day when we ask the world to change their thinking about Jesus Christ, especially in His rightful role as Savior and Redeemer. Let's quit emphasizing the behavior and start emphasizing the thinking, and watch the behavior change! Dr. Randy White is Pastor of First Baptist Church of Katy, TX. His teaching is heard daily on theWord for the World radio broadcast. To join his mailing list, click here.